Capsule wardrobe is your simple solution to mindless shopping. Australians are some of the biggest consumers of fashion in the world, but we don’t wear our new clothes for long. Instead, we dispose of 6,000 kilograms of fashion and textile waste every 10 minutes — and worse still, a lot of it can’t be resold in op shops and ends up in landfill. Is six pieces of clothing enough? 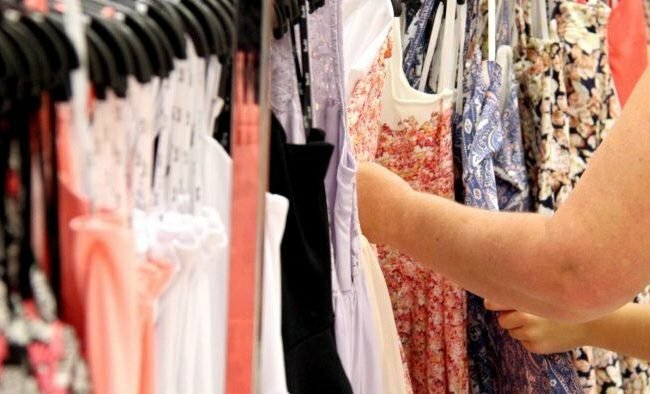 To see if it was possible to live comfortably with fewer clothes, ABC Radio Perth Drive presenter Belinda Varischetti took on a challenge, limiting herself to just six items of clothing over three weeks as part of the War on Waste campaign. Her options for getting dressed each morning: a long black cardigan, two tank tops, a tube skirt, jeans and black trousers. “At first I was really looking forward to the challenge,” she said. “I started considering all the different ways I could combine the six items and how I could accessorise with jewellery, scarves and shoes. However, by the end of week one the limitations had become “boring”. It also meant having to wash her clothes almost every day. “Limiting it to six items is extreme,” style blogger Nikki Parkinson said when asked about the challenge. Via her blog and newsletter, Parkinson suggests people select 15 pieces of clothing, including shoes and accessories, and limit themselves to those for a few months — a capsule wardrobe. “In a 15-piecer I would go three tops, three bottoms and two dresses and two jackets/cardigans/coats and then you have the rest as shoes and accessories,” she said. But why? Why not just wear everything you already own? “The problem is that no-one does that,” Ms Parkinson said. Instead, people stand in front of overstuffed wardrobes, feeling like they have nothing to wear and then go shopping for more clothes. “A lot of the time we might shop for fashion and we are seduced by all the sparkly, fun, show pony pieces, but you bring them home and you still don’t have a pair of jeans that really fits you well,” Ms Parkinson said. Ms Parkinson suggested people pull everything out of their closet to see what was in there. Then they should select a small set of clothes from what they already own that they could wear in different combinations. “You do discover you have pretty much everything you need to create that capsule,” she said. “If you do discover you need something, there will be very clear gaps so any shopping you do will be quite mindful and conscious. Meanwhile, Varischetti said she was looking forward to a change when the her self-imposed challenge ended at the end of the week. “I am very much looking forward to wearing some of my favourite clothes and introducing some colour,” she said.